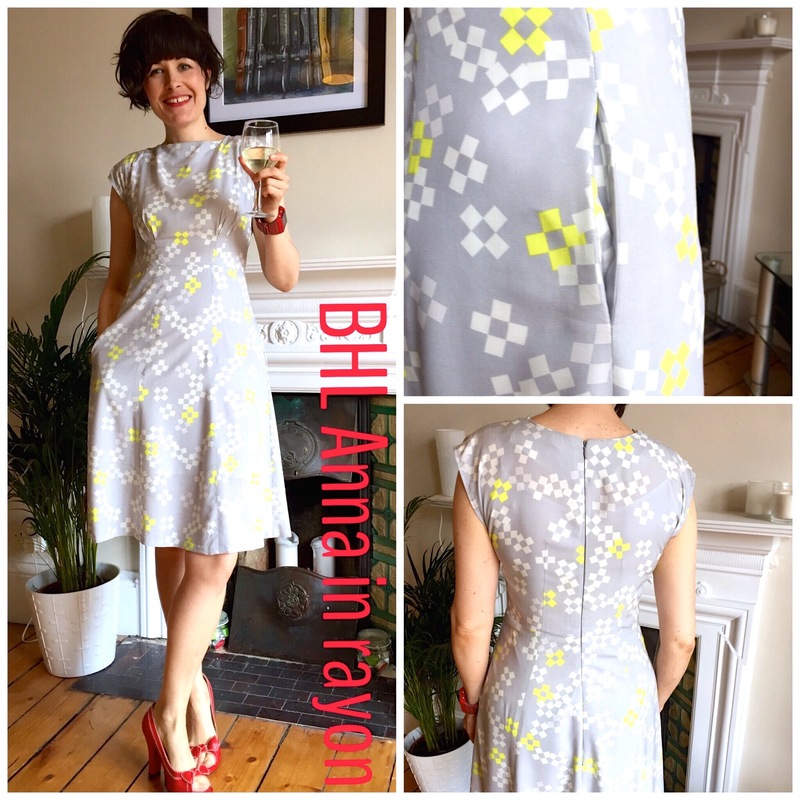 The Anna dress from By Hand London has been on my to make list for a while but the #internaltionalannaparty on Instagram hosted by @lauralovespugs (also creator of this blog) and @magdalenesmuse gave me the wee push I needed to get on with it. That plus seeing the amazing number of beautiful dresses @magdalenesmuse has made on her blog the girl in a teacup. 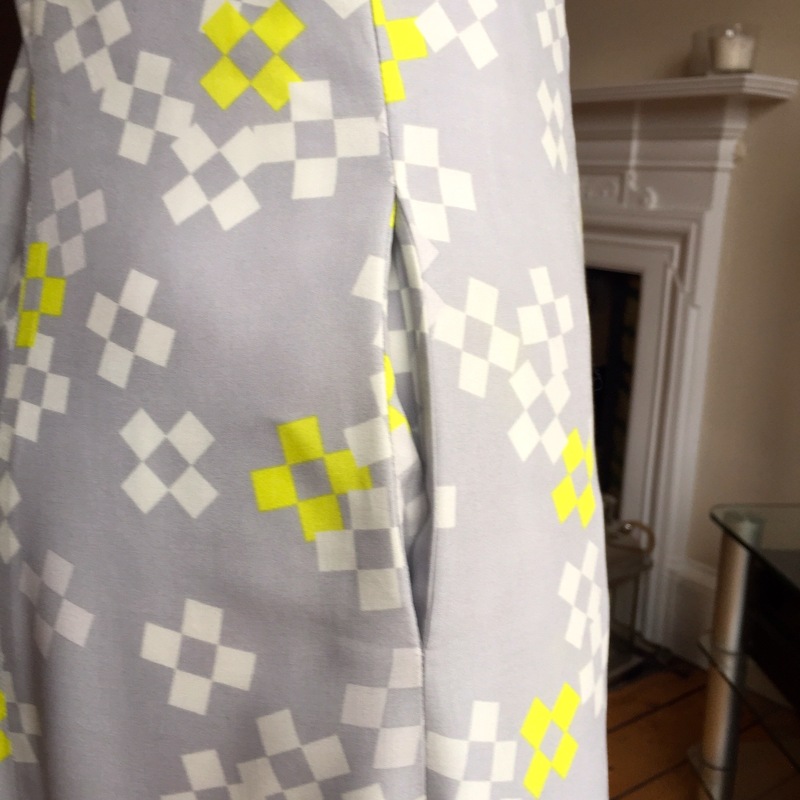 After a bit of stash sifting I settled on this very lovely rayon from Cotton and Steel’s first rayon collection Frock; I think it’s called pixel print neon. It came from the online grotto of fabric wonder that is the Village Haberdashery. All of this took 3 bodice toiles to sort and not a small amount of frustration. 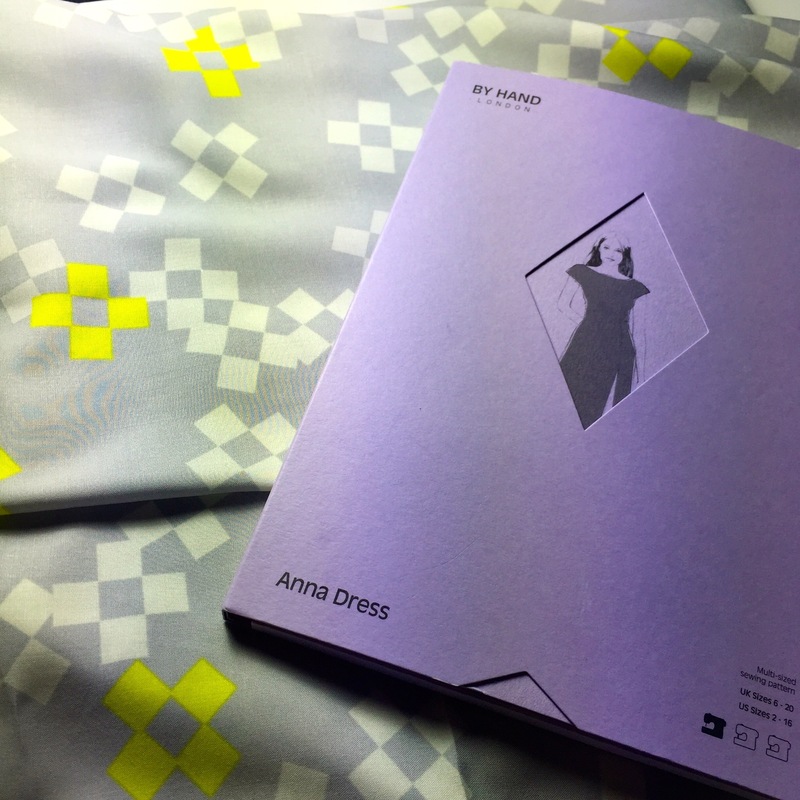 For some reason I found fitting the Anna didn’t work well on my dressform and was much better on me- not easy when your other half is away working and there isn’t anyone to pin and unpin you. 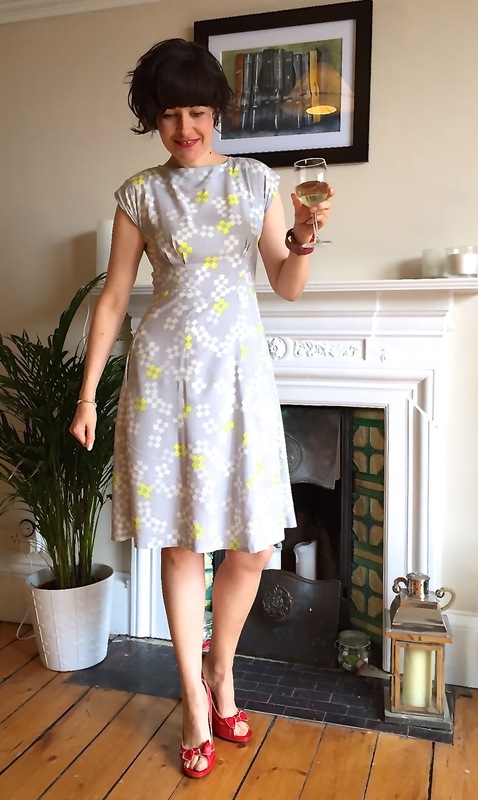 I cut this in more or less a UK 10 graded to a 12 at the waist and managed it easily in 2m of fabric (although the pattern recommends 2.5). 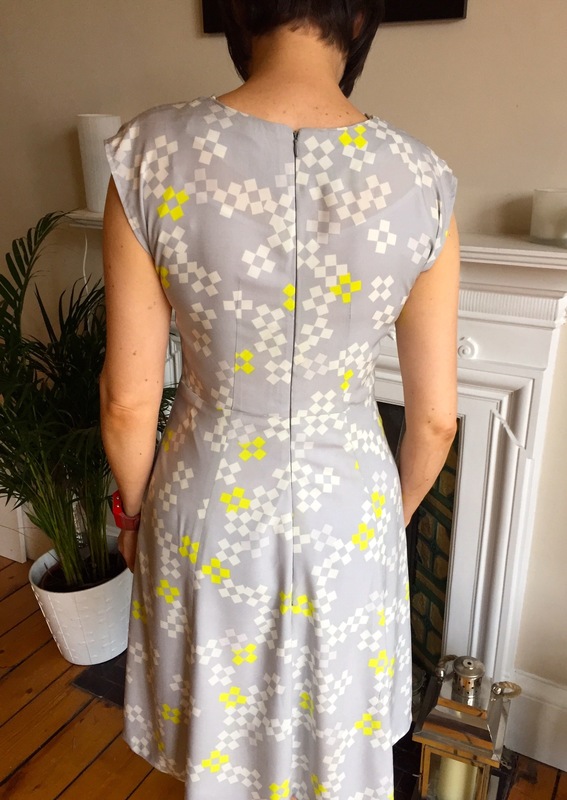 It’s a really easy, quick pattern to sew up once the fitting is done and the sew-along is great. 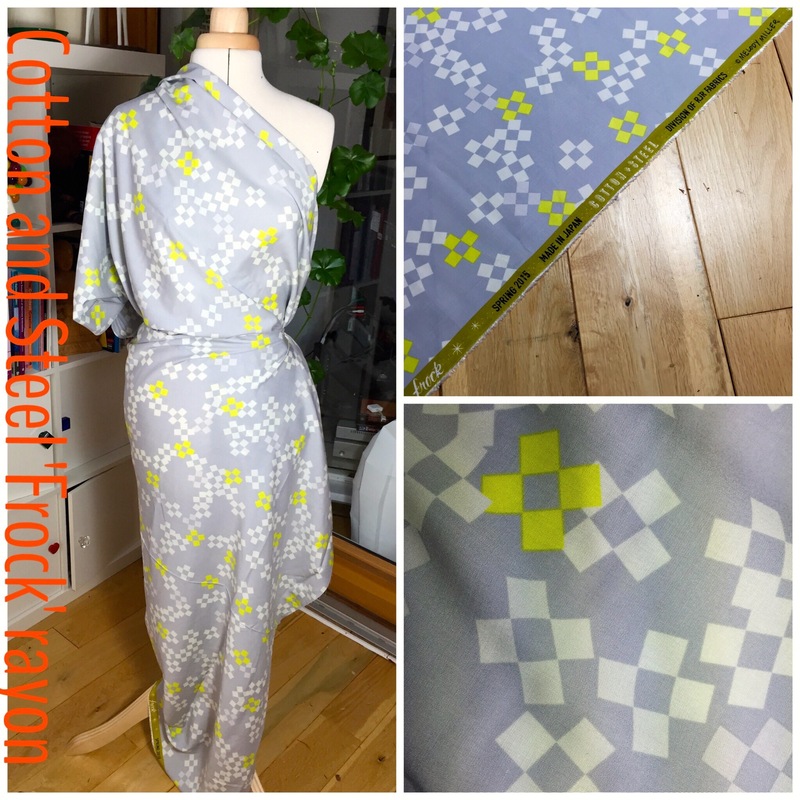 I used a narrow 3 thread overlock to finish the edges (tension dials on my Janome were set at 4.5, 4.5, 9 and 3). I did try French seams on a scrap but decided they weren’t right for the rayon. 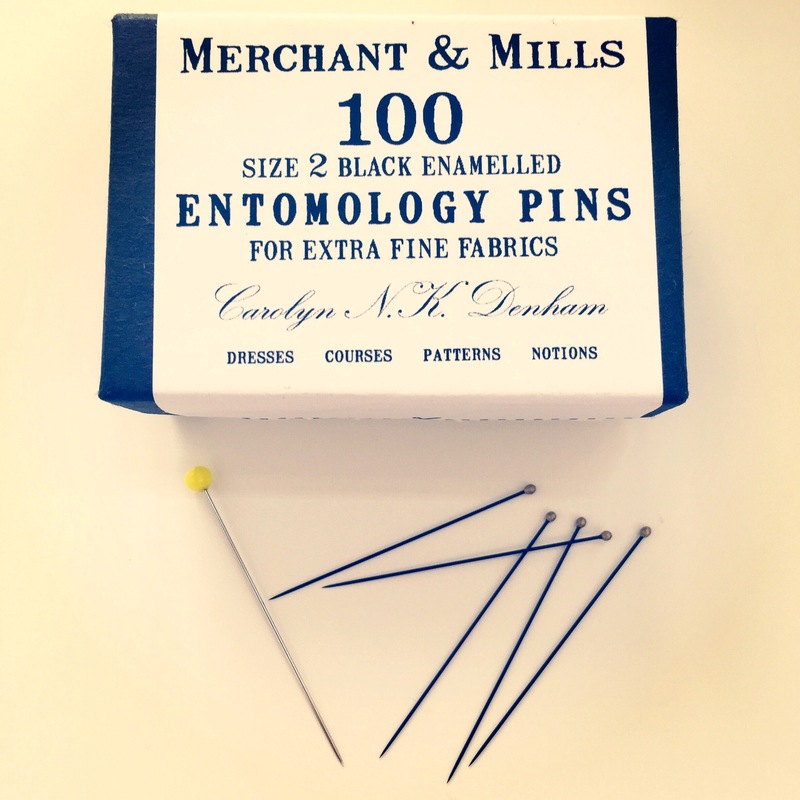 I also used these entomology pins from Merchant and Mills which were a total revelation for working with slippy or fine fabric. The pins are enamel covered, super fine and they stay put, even when you’re (carefully) trying things on plus don’t leave a mark when you take them out- brilliant! 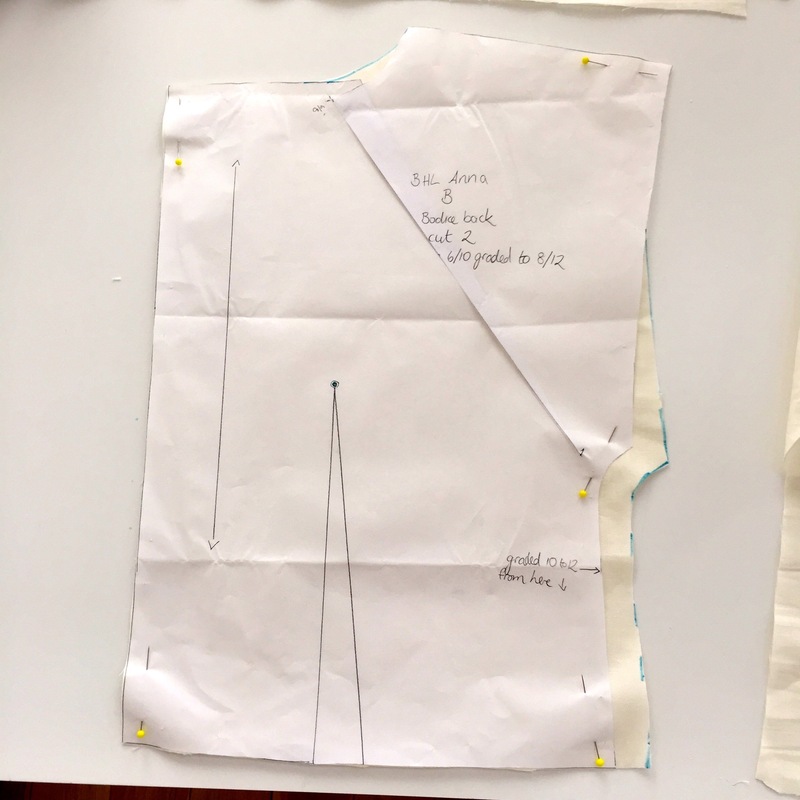 Even though I’d removed lots of neck gape at the fitting stage I still wasn’t happy when I went to insert the zip so used the trick in the sew-along where the zip is places further in at the neck and graded back out to the normal seam allowance. In my case it was about 2″ in at the neck down to 1″ at the waist. So basically a waste of time adding in extra to the back at the fitting stage!! Why does that happen???? I do love this dress and the rayon is amazing to wear. There will be more Anna’s in my wardrobe without doubt- I’m aspiring to @magdalenesmuse’s gorgeous collection. I’m still not happy with the fit of the bodice though so I think more toiles will be needed before the next attempt and I think I’ll interface the facings too. Love it, and love the fabric. 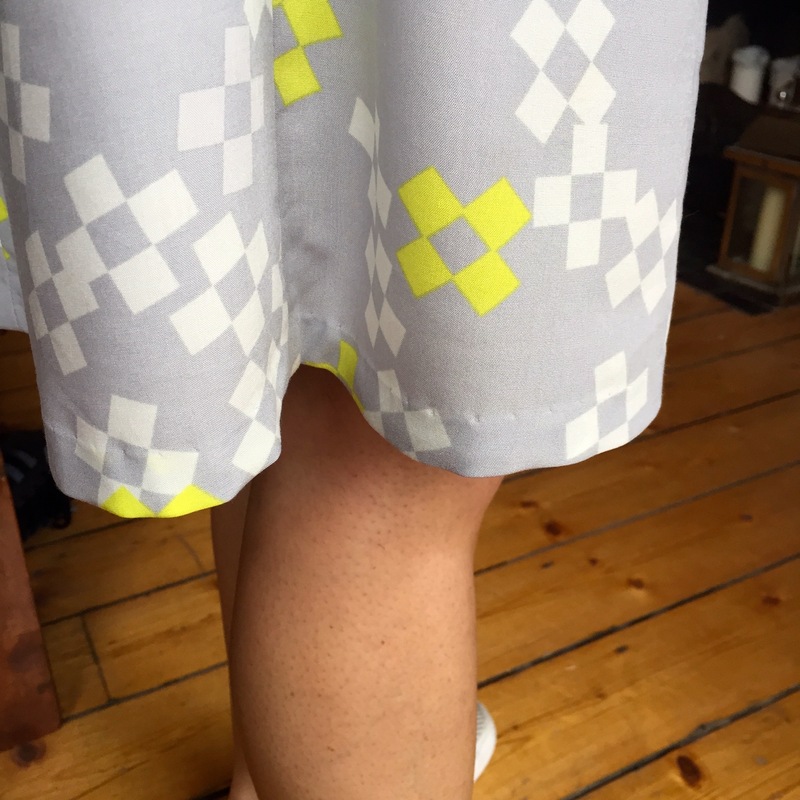 I only just read about the hack to add pockets – I’ll be doing that next time (and adding a lining). What did you find out about working with Rayon?